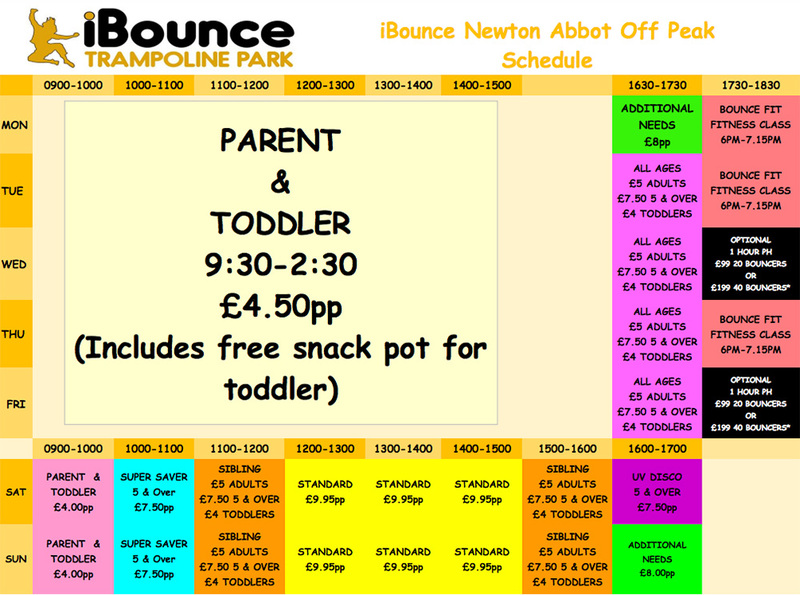 Our Newton Abbot venue was the first trampoline park in Devon. Open all year round, it's a great indoor activity that provides enjoyment come rain or shine. A real popular attraction offering some exciting facilities. Interlinked trampolines, dodgeball and a giant airbag, now with a newly developed 1.5m launch platform have been a great success. We have regular Parent & Toddler sessions, Fitness classes and specific times for those with Additional Needs. Look out for our new Sibling Sessions which allow all ages to attend at the same time. Come along for a bounce! Please Note: Parking can be limited at busy times. 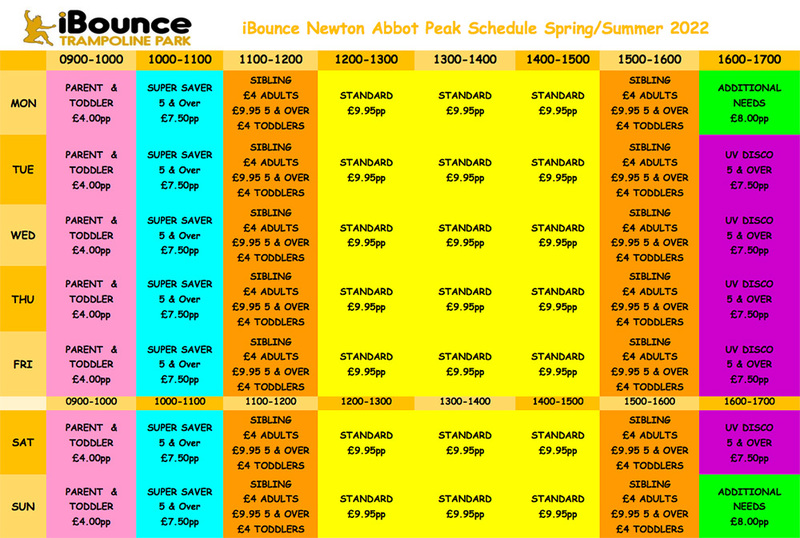 Please check here for the latest activity timetable schedule for iBounce Newton Abbot. Generally speaking, peak times are at weekends and during the school holidays. We are easily found, located at Milber Trading Estate. If travelling Northbound, follow the A380 towards Newton Abbot and Exeter. Then take the A381 exit and at the next roundabout take the 3rd exit towards Combeinteignhead. Turn right onto Twickenham Rd, followed by a left turn onto Haccombe Path. We will be on the left. If travelling Southbound, join the A30 and keep right at the fork, following signs for Torquay A380. Next, take the exit towards Shaldon road and take the 1st exit at the roundabout.Turn right onto Twickenham Rd, followed by a left turn onto Haccombe Path. Find us on the left. Travelling from the Ashburton direction? Join the A383 towards Newton Abbot. Follow signs for Newton Abbot. At the Penn Inn Roundabout, take the 2nd exit onto Shaldon Road. Turn right onto Twickenham Rd, followed by a left turn onto Haccombe Path. We will be on the left. Finally, if you're travelling from the Shaldon direction, head north-west on Shaldon Road towards Cross Hill. Continue on Shaldon Road and then turn left onto Twickenham Road. Next, turn left onto Haccombe Path. We're on the left.